When Death Row inmate Clarence (guest star LL Cool J) mysteriously and suddenly collapses after hallucinating, House jumps at the chance to take the case for its difficulty and because it's "cool." Dr. Cameron refuses to treat the patient in protest and feels they should treat a cancer patient because she's more deserving, raising the question: is one life more important than another? A girl's unimaginable bravery toward her terminal illness makes House suspicious as he puts a life-or-death decision about her case in her young hands. Cuddy struggles with a case of guilt when her handyman is injured while at her place, and House and his team have to work fast to save the young man's pursuit of the American Dream. House's patient is willing to die in order to further his social cause. When recent college graduate Carnell drops at a graduation party from internal shocks, he is rushed to Princeton Plainsboro Hospital. With his father Ken at his bedside, it becomes apparent the two have not been truthful with each other in their lives and their major trust issues affect how the medical team gets the information it needs to help solve Carnell's case. When a famous professional cyclist is brought in after collapsing during a race, House doesn't want to treat him because he thinks he's lying about doing drugs. A patient with AIDS stalks House to get him to take his case; House and Stacy stalk a mouse in her attic; and Cameron faces a health scare of her own. A patient's death prompts an investigation into whether Chase or House may have been responsible for her death. House and the team must decipher whether a patient who has cried wolf too many times now has a deadly illness. A journalist's head injury results in unintelligible speech, leaving House and his team at a loss; and the heat is turned up between House and Stacy when they're out of town. A young mother on fertility medication reminds House and the team that everybody lies; House and Stacy rekindle their relationship. When a young man comes into the hospital severely burned, but with some unusual activity going on in his blood tests, House and his team have a difficult challenge. How can you diagnose a burn victim when you are unable to use your normal testing methods? 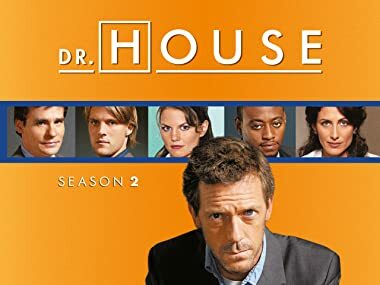 Dr. House treats a teenage supermodel for heroin addiction and, in the process, uncovers a startling secret about the girl. Meanwhile, Wilson hopes that House's increased leg pain indicates that his leg nerves are regenerating. House and his team race against the clock to diagnose a dead woman in order to save a dying man. When House and his team race against the clock to diagnose the source of a man's illness, the clues point to a shocking suspect. A teenage heart transplant patient is rushed to the hospital when she has an allergic reaction while living in a "clean" room, and House and Wilson work out the kinks of their new living arrangement. It's poker night at Princeton Plainsboro when the hospital hosts an oncology benefit. A 6-year-old boy is brought in exhibiting symptoms that aren't too unusual; however, when House learns of additional specifics, he jumps on the case right away. He's seen this set of unique symptoms before - in a previous case when an elderly patient lost her life. A young woman, Hannah, hasn't been able to sleep for 10 days. She's brought in after she downed an entire bottle of sleeping pills and still didn't fall asleep. When 15-year-old faith healer, Boyd, is admitted and claims he can talk to God, House takes the case. House thinks the kid is a clever con until the boy touches one of Wilson's cancer patients and causes her cancer to go into remission. Part 1 of 2. A wounded police officer with uncontrollable laughter has House and the team baffled; when Foreman starts showing the same symptoms and the officer's illness takes a fatal turn, they must race to figure out the cause before it's too late to save Foreman's life. Part 2 of 2. Foreman faces his own mortality as House and the team struggle to figure out how to stop the progression of his deadly illness. When young mother Kara has a seizure while bathing her child, it causes the near drowning of her newborn son. Unable to determine the cause of Kara's seizures, House and the team race to find what's wrong with her while simultaneously trying to bring her infant back to life. When both mother and son develop complications, Kara's husband must make some very difficult decisions. A 16-year-old female Hurricane Katrina victim suffering from hallucinations about the tragedy is brought to House by his ex-bandmate Crandall (guest star D.B. Sweeney), who tells House he recently found out she's his daughter. House takes the case despite feeling more pain than usual in his leg. He wants to run a paternity test to make sure his friend is not being scammed, but Crandall refuses. House is shot by a former patient and must share a recovery room with the gunman.